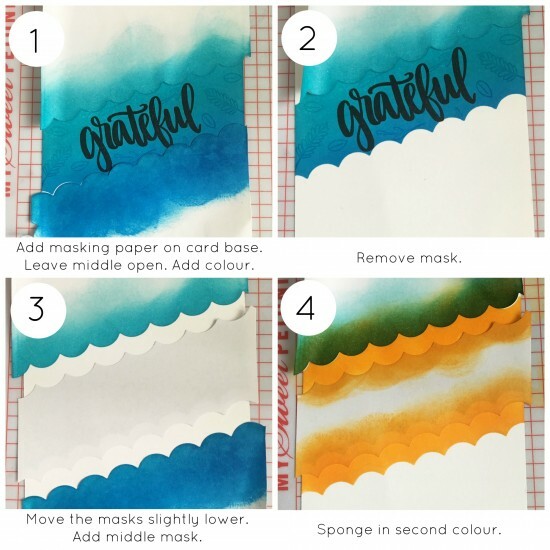 Hi Crafters, Justine here and I'm excited to share a fun masking technique using some of the supplies from the Counting Blessings Stamp of Approval Collection. Using a blending tool, I blended Something Borrowed, Fiesta Blue and It's a Boy inks in the middle of the card panel where the masking paper wasn't covering. 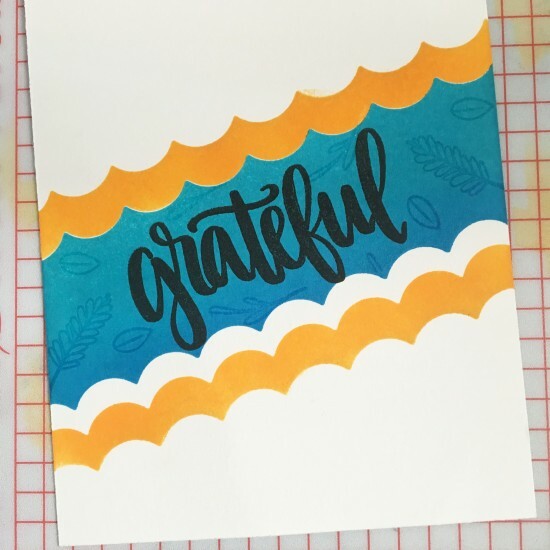 I stamped the Grateful stamp from the Autumn Blessings Stamp Set in Midnight Ink and then I took a few of the little images and stamped them around the sentiment in Versamark ink. I moved the masks up about 1 cm at the top and 2 cm at the bottom. Then I added in the middle mask that I set off to the side earlier. I sponged in some Tiki Torch ink, removed the masks and added some small embellishments from the Tags, Etc. Dies. 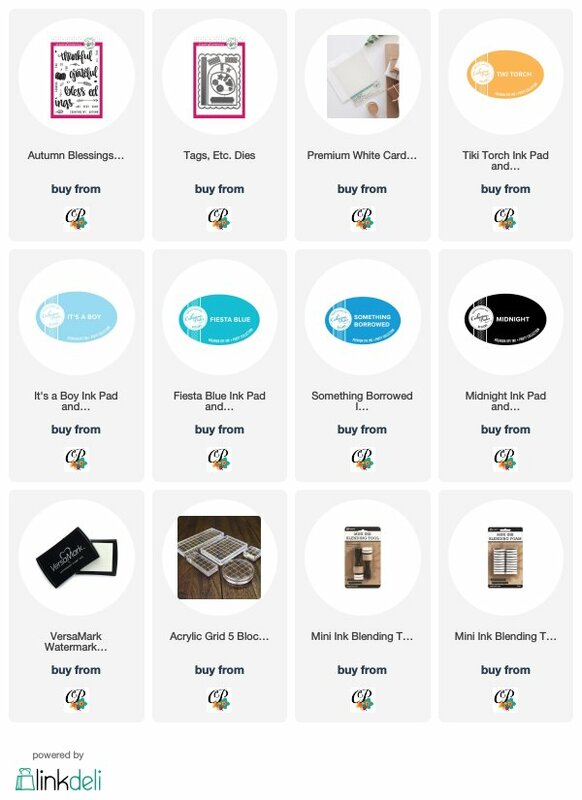 You can give this technique a try with any border die in your collection to get different looks. I hope you enjoyed today's card tip and tutorial! Be sure fellow me on Instagram @justinehovey to see more Catherine Pooler Designs!